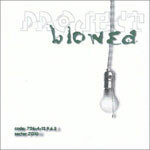 Classic banger from the Project Blowed MCs!!! Hard hitting beats with ill spittin' make this a must have for any Blowdians! Productions arranged by A Team Productions. Afterlife Repressing. Executive prodcued by Aceyalone, Abstract Rude, and Dwayne Wilson.